See below for the full list of playing fees for 2019. 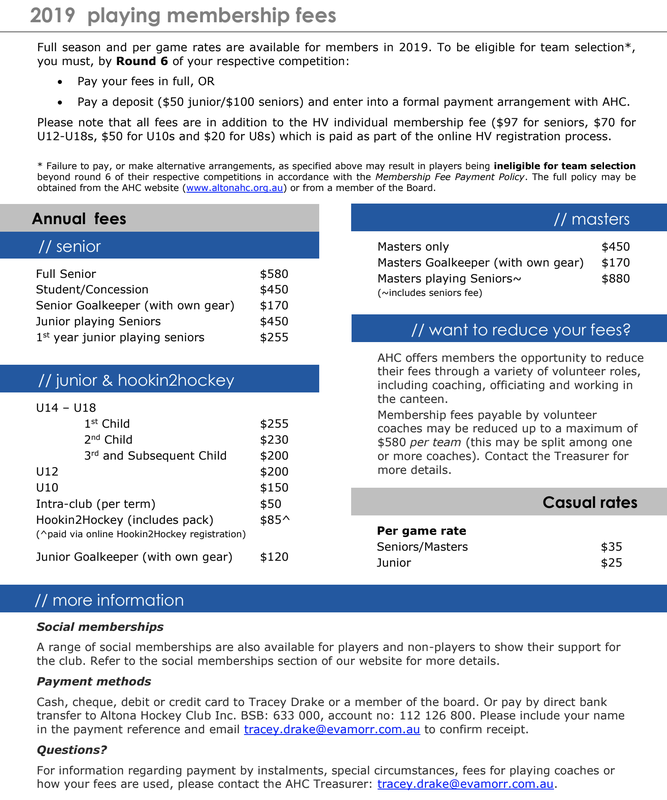 Membership fees are payable online at shop.altonahc.org.au.  We also have social memberships available for spectators and supporters, please click here to view the options. The AHC offers members the opportunity to reduce their fees through a variety of volunteer roles, including coaching, officiating and working in the canteen. Membership fees payable by volunteer coaches may be reduced up to a maximum of $580 per team coached. Contact the Treasurer for more details. ￼￼Online at shop.altonahc.org.au, or cash, cheque, debit or credit card to Tracey Drake or a nominated club contact. Payment by direct credit to the AHC bank account is also available. Please contact tracey.drake@evamorr.com.au for details.